Cage Outdoor Café Chair fined lined profile make it an appealing match to a variety of tables. Stackable up to 4 high, the modern design of the chair will refresh your interior with a light mood. 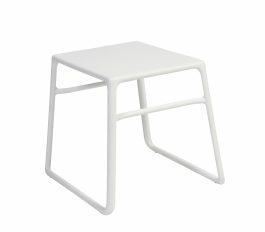 Cage Outdoor Stool 750mm fined lined profile make it an appealing match to a variety of tables. 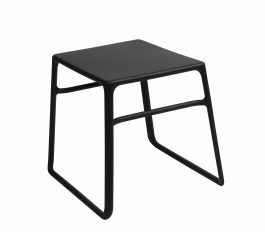 The stackable stool features a powder coated zinc plated frame, as well as reinforced welds, with secured foot caps to protect the powder coated finish. Bring together a few chairs with a Net Outdoor Side Table to create a relaxed informal outdoor setting with little effort. 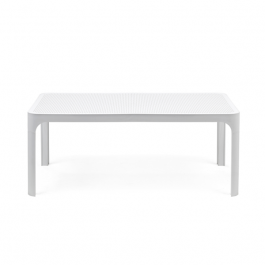 The table is a generous metre in length and slender 580mm in width that features a perforated top to allow water to pass through. 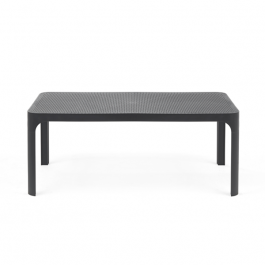 The Net Outdoor Side Table features resin (polypropylene) with UV additives and is uniformly coloured so it won’t fade in the sun. Suitable for indoors or outdoors, and awesome for seaside salt air environments, minimal maintenance required with a hose down every once in a while.